For most of the British Army's history, cooks were organised on a regiment-by-regiment basis. This included the use of civilian contractors. The Army set up its first catering school in Aldershot in 1913, followed by another in Poona (now Pune) in India. But standards varied. 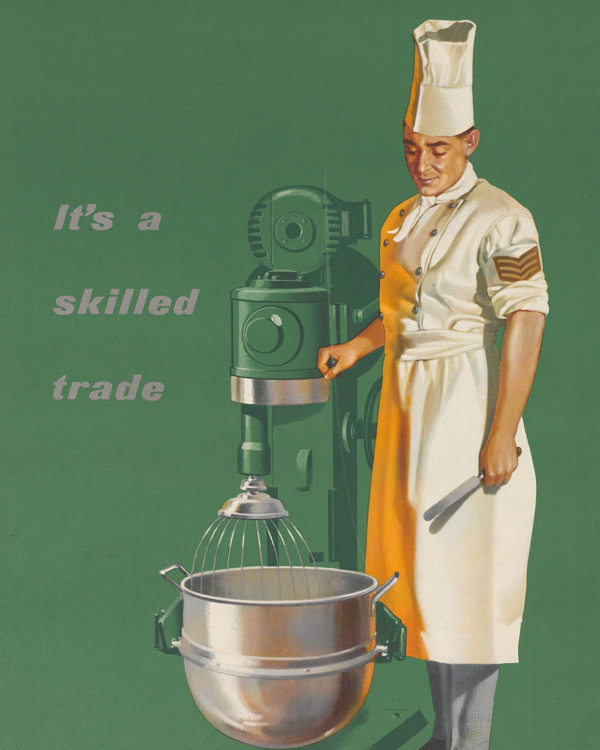 In 1936, cooking was recognised as a trade within the Army. 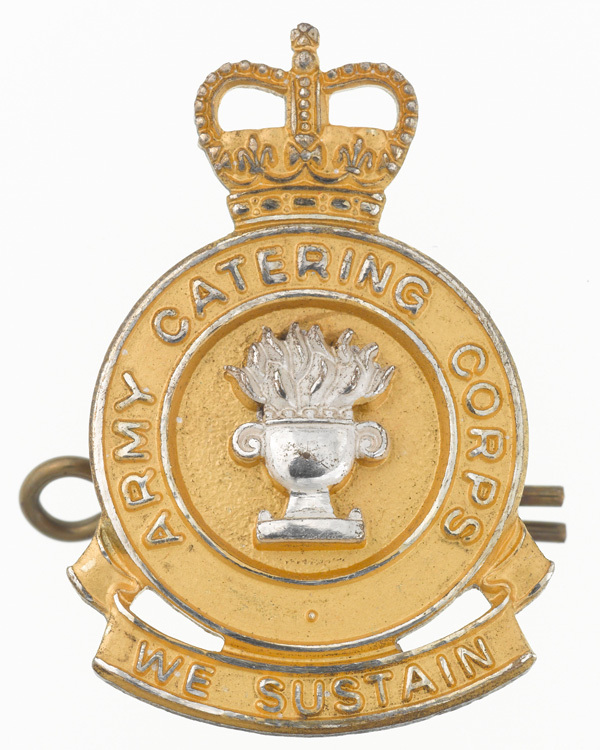 A Chief Inspector of Army Catering was appointed in 1938. That same year, the School of Cookery opened at Buller Barracks in Aldershot. Many of its instructors were civilians from the catering trade. The staff who trained at the School of Cookery remained regimental personnel within their own units. However, in March 1941, the Army Catering Corps (ACC) was formed as a subsidiary unit within the Royal Army Service Corps. Two years later, it became an all-tradesmen corps, with every British Army regiment or unit assigned a few of its men. The ACC played a major part in maintaining troop morale during the Second World War (1939-45). It was supported by civilian-manned organisations such as the National Army and Air Force Institutes, better known as NAAFI. Owing to wartime conscription, many of its men were former civilian cooks. This meant that the ACC was able to improve the management and training of Army caterers. In October 1945, it was decided to retain the corps as part of the post-war Army. In the years that followed, the ACC further developed its career structure and training. Then, in 1965, it became an independent corps in its own right. Personnel from the ACC served in all the major post-1945 campaigns. In 1971, the corps was given the freedom of Aldershot, home of the Army Catering School. However, unlike many corps of the British Army, it was never honoured with a 'Royal' prefix in its title. 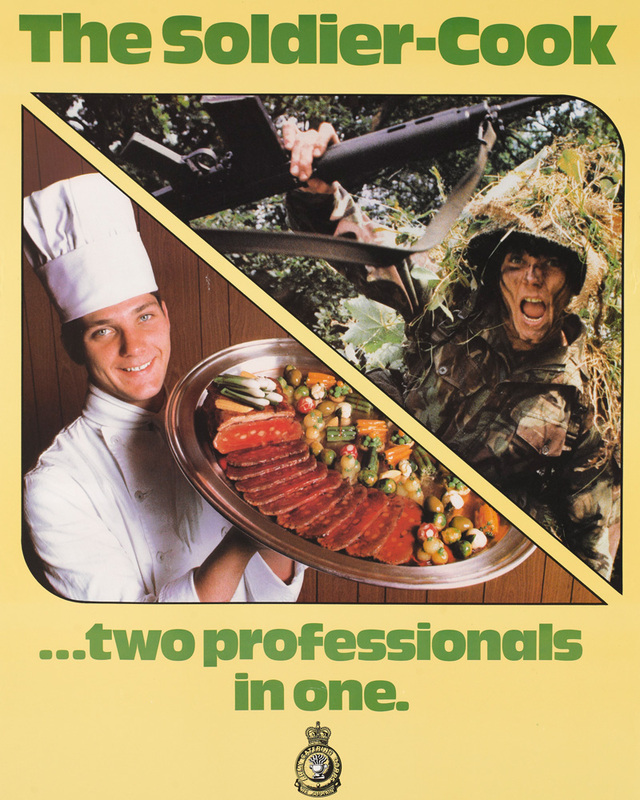 The ACC continued to supply cooks to all British Army units, including the Gurkhas and the Special Air Service, until 1993. That year, it was merged with the Royal Corps of Transport, the Royal Army Ordnance Corps, the Royal Pioneer Corps and the Royal Engineers Postal and Courier Service to form the Royal Logistic Corps. Explore the history and collections of the Army Catering Corps by visiting The Royal Logistic Corps Museum. The Army Air Corps originated in the Second World War and is the aviation combat and reconnaissance arm of the British Army. Its members have served in most of the Army's major campaigns.